Wow! Is it really Day 15 already? 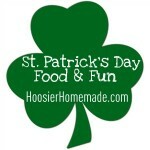 Only 2 days left in the St. Patrick’s Day Food and Fun…have you enjoyed it? I’ve had a blast! 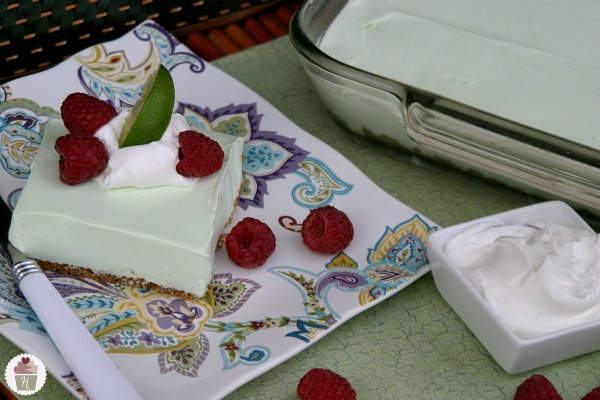 Today I’m sharing Key Lime Dessert, that is not only a perfect St. Patrick’s Day Dessert, but would be a delicious addition to your Easter brunch or Spring Party. I adapted a Betty Crocker recipe, and instead of using oatmeal cookie dough on the bottom, I made a graham cracker crust. You could also easily add the filling to a store bought graham cracker pie crust, but you will need 2…the filling makes a lot! 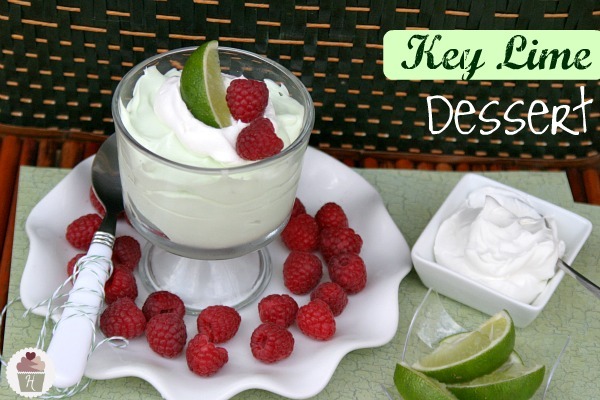 This Key Lime Dessert was delicious…not too sweet and not too tart, it didn’t make you pucker up like some lime desserts do. And in case you don’t want to make the crust, it’s also fun to serve in a small trifle bowl! As a native Floridian, I have to recommend omitting the food coloring. 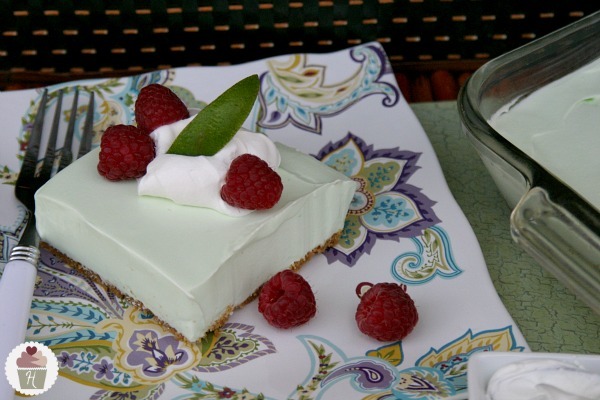 The traditional key lime pies do not have a green color. Can’t wait to try this version…I love that it is crowd-size! Yum! 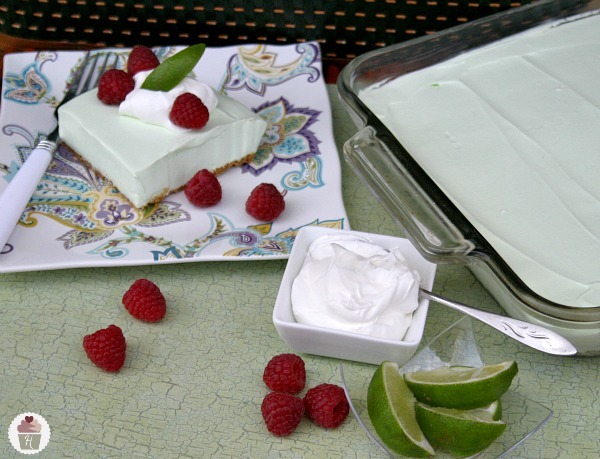 I love key lime anything especially with strawberries. Thanks Mary Ellen! It’s definitely a great recipe. Wow that looks AMAZING! I am going to try it this weekend! Thanks for sharing!